This four-lane toll road will have eight interchanges and a toll barrier. According to Department of Public Works and Highways, the ongoing Cavite-Laguna Expressway (CALAx) Project is expected to be finished by 2020. 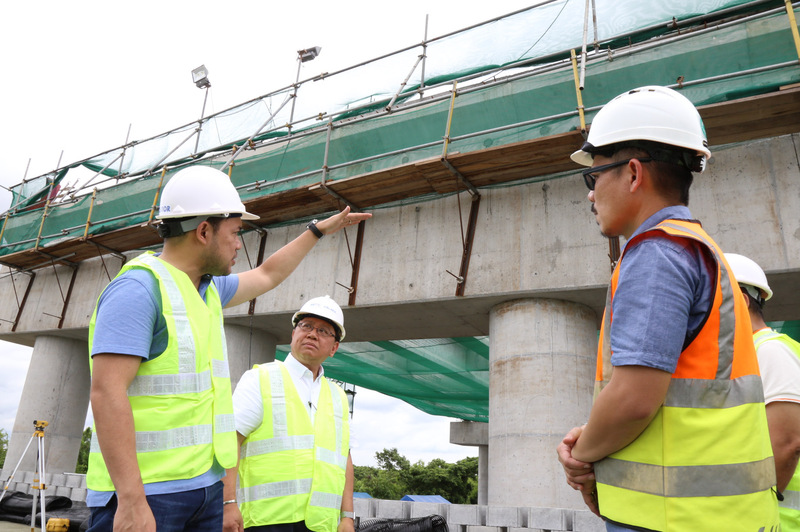 Recently, DPWH Secretary Mark Villar inspected the construction site and said that the department is accelerating the progress on the acquisition of the right-of-way (ROW) for CALAx, in order to hit the 2020 target deadline. 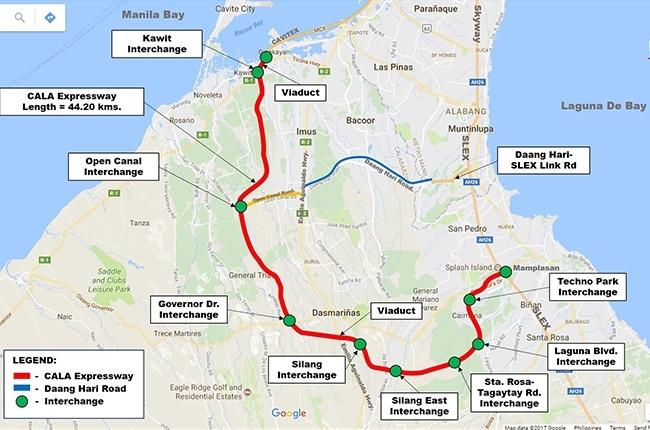 In addition to that, Villar also said that the first seven-kilometer segment of the project may soon be opened to motorists before December this year. When available to the public, this stretch will allow motorists to drive from Mamplasan Interchange to Laguna Boulevard in just 10 minutes, obviously faster than the current 20 minutes travel time. The Cavite-Laguna Expressway Project is a 45.29-km, four-lane toll road. This closed-system toll expressway stretches from CAVITEX in Kawit, Cavite up to SLEX-Mamplasan Interchange in Binan, Laguna that consists of eight interchanges and one main toll barrier. Aside from that, it also comes with bridge component with a total span of 12,207 meters, including 4,618 meters of viaduct. Once fully-operational, the travel time between CAVITEX to SLEX will be cut down from the usual 90 minutes to about 45 minutes. The CALAx road project is implemented by the private concessionaire MPCALA Holdings, Inc. of the Metro Pacific Group, which is under the Public-Private Partnership Program of the government. This project is part of the government’s “Build, Build, Build” program that intends to lessen traffic congestion in the country.